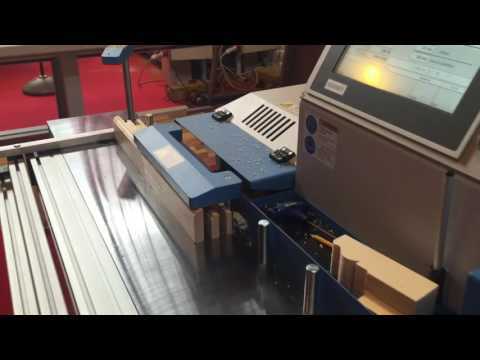 See how many of our innovative framing-line designs boost production in this in-depth look at our machinery! The WIZARD is the ultimate machining center for windows and doors, capable of high-volume production for even highly custom designs. 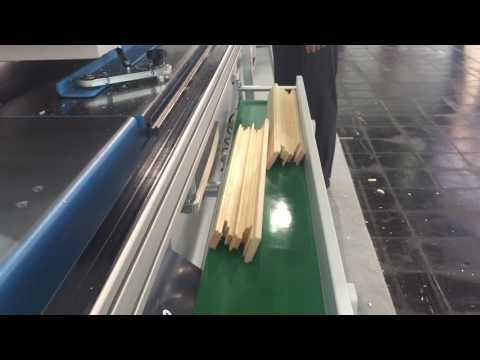 We took it to LIGNA 2013 in Germany- see it work in this clip. 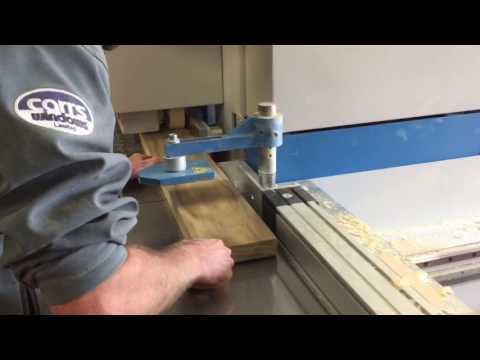 We designed the rotating table and grooving unit on this powerful crosscut saw especially for the framing industry. Curious to see how it could help your production times? This video can give you some inspiration. The WIZARD DRILLEX is the one-two punch that boosts window and door production like nothing else, offering precise machining, drilling, and pocketing in one working center. 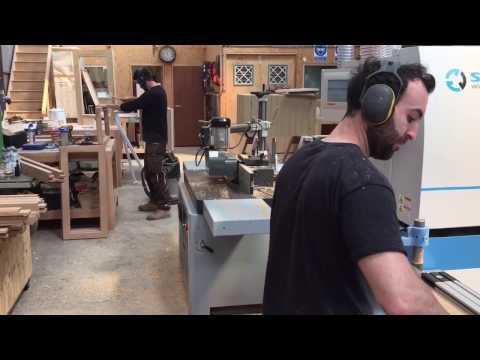 In this clip, we see the artisans at Northstar Windows in Fernadale, WA building window components on their CRAFTER CNC machining center. Get an inside look at our production facility and people in this company overview! See the tenoning and profiling abilities of the CRAFTER live. 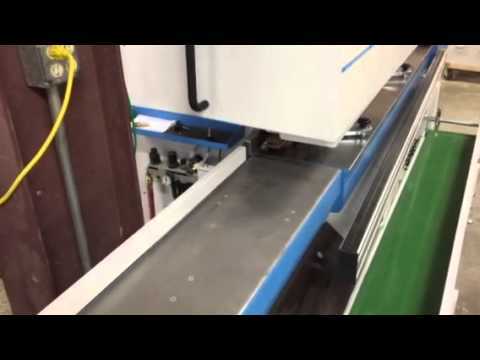 Clip of our latest Crafter machining center installation in Ferndale, Washington. In this clip, you can see both profiling and tenoning. 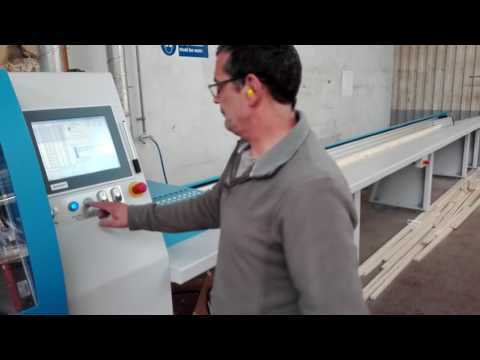 See the Crossline 500 in action at Europa Caravans shop in the UK! 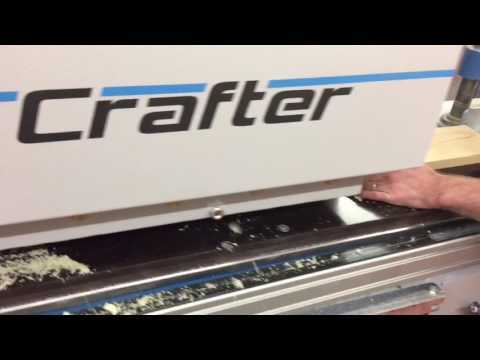 See Jaroslav Soukup operate the crafter to create a full sash in this clip. 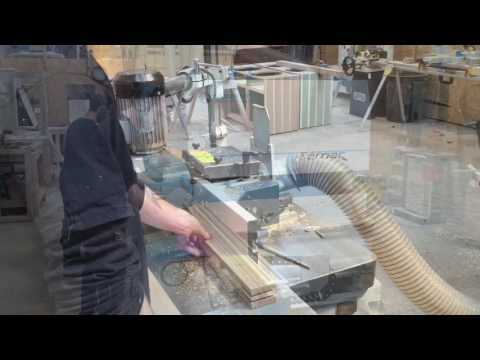 Creating sliding sash windows on the Soukup America CRAFTER machining center. 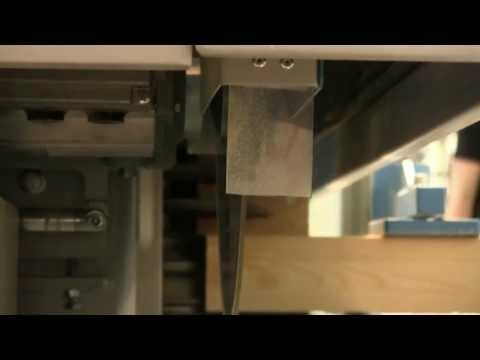 See the Crafter's computer controlled saw cut several different bead types in this video clip. 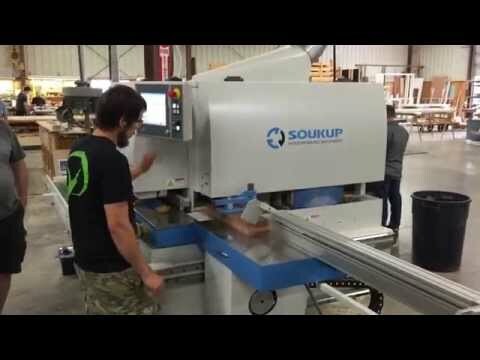 The Soukup America TEMAC CNC tenoner is featured in this video. 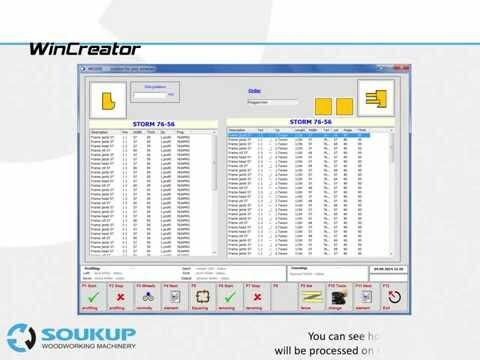 WinCreator is the intuitive software used to control many of our angular CNC machining centers. 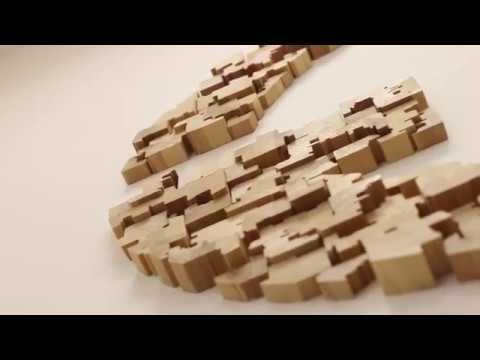 You can get acquainted with it and how intuitive it is to use in this video! 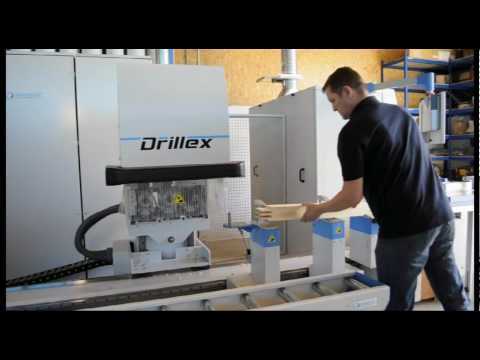 The VERSA is an innovative solution for scaling up production with precision CNC drilling. 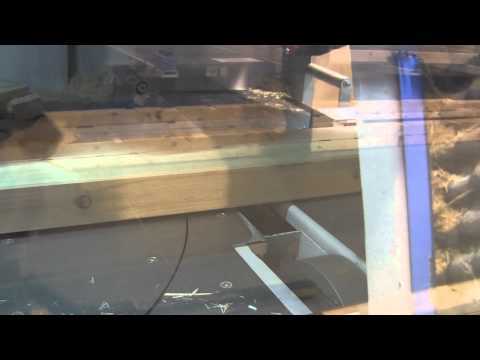 See it in action in this video. The TEMAC is one of the most cost-effective ways to boost your production volume making solid wood windows or doors. 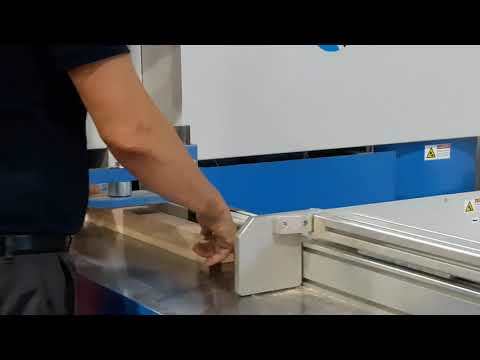 See how it delivers precise cutting and serious time savings in this video.